Kodamdeshwar Temple is a beautiful open temple located in Gajner which is about 25 kms away from Bikaner via the Jaisalmer highway. The maharaja of Bikaner Rao Bikaji in the late 15th century himself installed the Bhairuji idol in here. Bhairuji is Lord Bhairava which is a more fierce form of Lord Shiva. 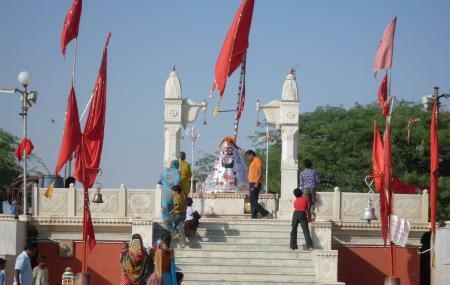 Many devotees come here to worship as they consider the idol a more potent form of the God. Remove footwear before entering temple. Love this? Explore the entire list of places to visit in Bikaner before you plan your trip. Fancy a good night's sleep after a tiring day? Check out where to stay in Bikaner and book an accommodation of your choice. How popular is Kodamdeshwar Temple? People normally club together Jain Temple Bhandasar and Gajner Wildlife Sanctuary while planning their visit to Kodamdeshwar Temple.